Technical assistance services for the supervision of the construction works of the new railway access to Levante. Section: Crevillente - San Isidro. Section length: 7 km. The total length of this high speed railway line is 7,279.487 m. At the beginning of the section, apart from the railway line, two branch lines must be built in order to connect with Torrellano rail line. 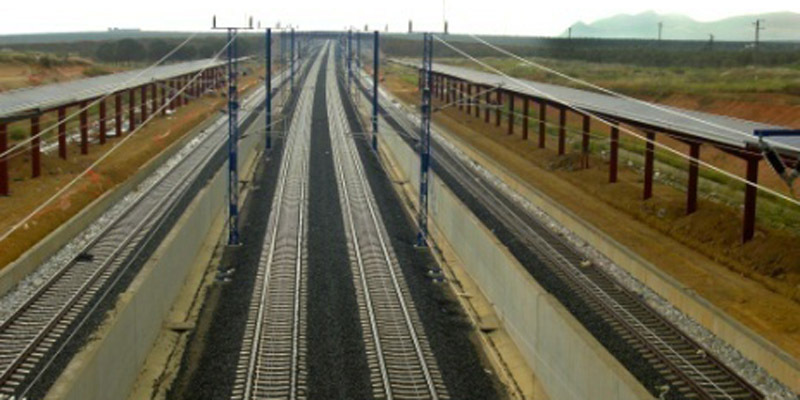 Works will also imply the relocation of two sections to maintain Alicante-Murcia current line, which will be affected by the new platform on several stretches, as both routes run parallel and join at some point. These works will include the platform, superstructure and operation system. Apart from these facilities, the contract involves the construction of the new railway line and Albatera – Catral station, maintaining the current line operational. In this way, it is necessary to construct a passengers’ building close to the former one (that will be demolished) to allow the expansion of the platform, and maintain passengers’ transit inside the station. Due to the convergences in the current and future lines’ routes, along with the affected infrastructures, it will be necessary to build a large number of walls and structures. In particular, it was designed a 1,825-m viaduct, a 220-m arched support structure, 3 overpasses, 2 underpasses and 414 m of wall with a height ranging from 3 to 4.25 m. As for the drainage of the area, 63 drainage works will be constructed: 33 out of them will be of frame-type, 2 will be of arched type, 2 of floating slabs and 26 tube-type structures.